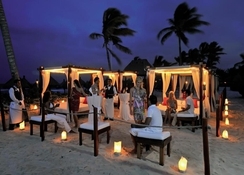 The resort Grand Bahia Principe Coba offers a prime holiday spot in Cancun’s glorious Riviera Maya. 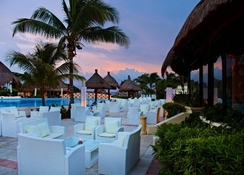 It is located near Akumal Beach, around an hour from Cancún international Airport. Grand Bahia Principe Coba Resort comprises an extensive area of natural spaces and gardens as well as a fantastic golf course, plus restaurants, bars, outdoor pools and sports complex, plus many more facilities. 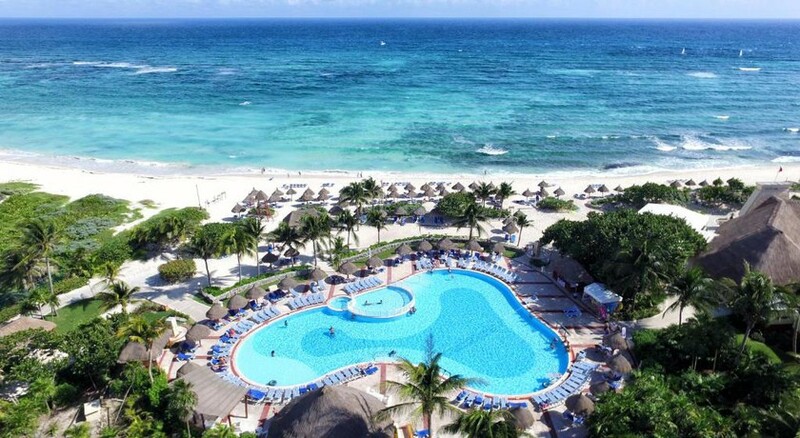 The all-inclusive package provided by the hotel includes food, drinks, snacks and all other facilities and services of the Grand Bahia Principe Tulum and Akumal, sports complex, gym, scuba diving equipment, aerobics, games and activities and also free access to the à la carte restaurants of the Grand Bahia Principe Tulum and La Rancherita nightclub. Grand Bahia Principe Coba Resort is located on the Riviera Maya on the Eastern Yucatan peninsula. 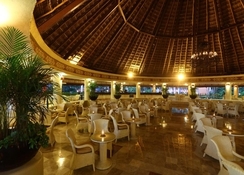 It is situated at a distance of 25 minutes from the city of Playa del Carmen and 20 minutes from Tulum. The Riviera Maya Golf Club is also situated within 4.8 km from the hotel. It is around an hour's drive from Cancún International Airport. The Grand Bahia Principe Coba has a total of 1080 rooms present within the 30 three-storied villas. Rooms are categorised as Family Junior Suites, Family Master Suites and Junior Suite Superior. 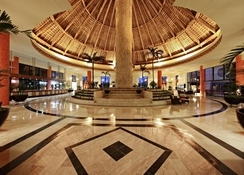 Accommodation at the Grand Bahia Principe Coba is spacious with lots of natural light. All rooms have air-conditioning, seating area and large balconies. Room facilities also include a minibar, coffee facility, hairdryer and satellite TV. Bathrooms have all essential amenities and a hydro-massage bathtub is present in every room. 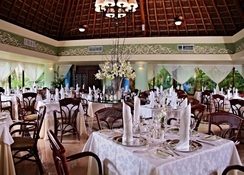 Guests can enjoy delicious meals at the a la carte restaurants. 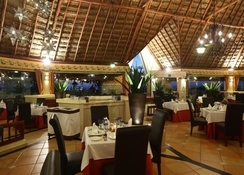 The Kukulcan Restaurant and Pool Restaurant offers international cuisine. While the a la carte restaurants are speciality Restaurants offering a wide variety of dishes such as Italian, Brazilian, Gourmet, Japanese, Mediterranean, Traditional Mexican cuisine. Beyond the restaurants, there are bars at different locations throughout the resort, which serve refreshing drinks and snacks to the guests and are available all day. Families and couples can enjoy a quality time in the two lake-style pools, which run throughout the hotel property. The pools have bridges above them which lead to hidden terraces having lounges where the guests can rest under the beautiful bamboo straw umbrellas. Two Jacuzzi pools are also present which provide the perfect mini-massage and spa services. Water polo and scuba diving equipment is also given at the pools. Another great feature of this hotel is the Dolphinarium where the whole family can see and learn about these wonderful creatures. Some of the awesome water activities like fishing, boogie boarding and snorkelling in the beautiful Caribbean Sea are special features of the hotel. The sports facility consists of Soccer, Basketball and volleyball courts. It also offers daily one hour of windsurfing, tennis, ping-pong, snorkelling, catamaran, kayaking and bicycling. Aerobics and dance classes are offered here also a Gym facility provides warm-up, stretching and fitness exercises. Constructed on over 90 hectares, the Riviera Maya Golf Club course offers 18 holes and 9 holes winding through the Maya jungle and lakes, which is worth appreciating by any golf lover.